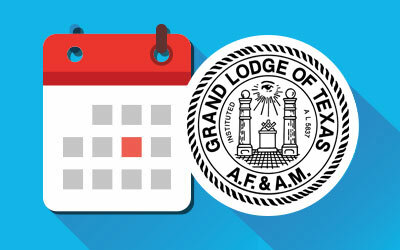 On December 4, 1982, The Grand Lodge of Texas, A.F. 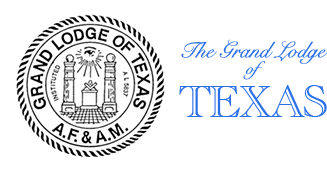 & A.M., elected James D. Buddy Baccus as Most Worshipful Grand Master of Texas Masons for the ensuing Masonic year. James D. Baccus was born in Teague, Texas, on July 24, 1924, and was educated in the Public Schools of Teague, Texas, and Sulphur Springs, Texas, graduating from Sulphur Springs High School. He became employed by the Port Terminal Railroad Association on July 17, 1947, in Houston, Texas. He married Bettye Zeve Schoenfeld of Fort Worth. There are four children, one son and three daughters, and seven grandchildren. M:W: Brother Baccus began his illustrious career in Masonry when he was raised to the sublime degree of a Master Mason in Park Place Lodge No. 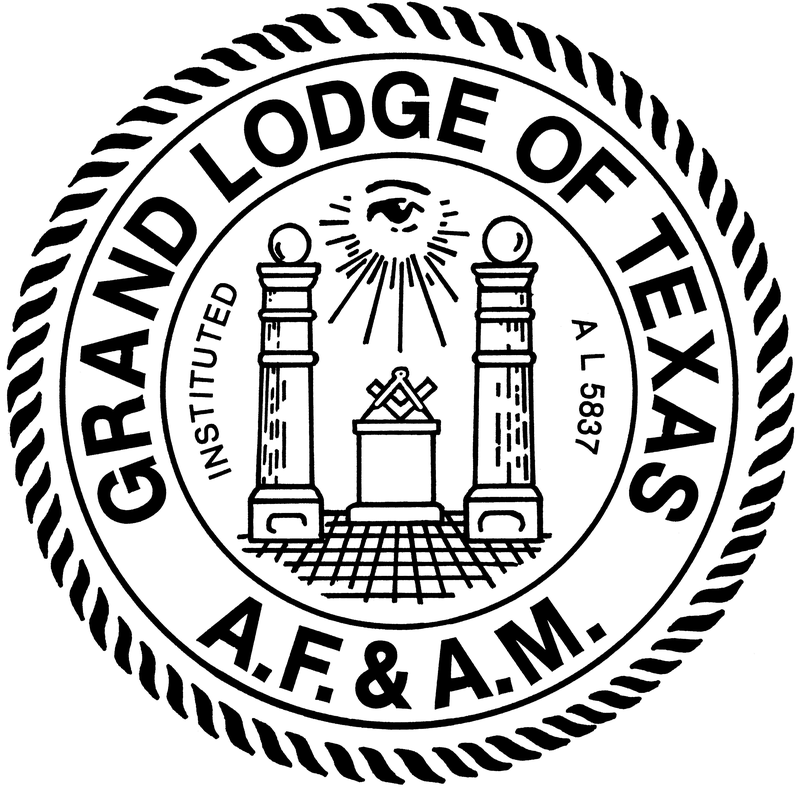 1172, Houston, Texas, on May 2, 1956, and has been active in all bodies of Masonry ever since. He served as Worshipful Master of Park Place Lodge in 1963-64; District Deputy Grand Master of District 30D in 1974; Grand Tiler of The Grand Lodge of Texas in 1976; elected Secretary of Park Place Lodge in 1975; elected as Grand Junior Warden of The Grand Lodge of Texas in 1979, and advanced each year through the line. He has also served on several committees of The Grand Lodge, and as Regional Coordinator of Region 4 for The Grand Lodge for several years. He received a Life Certificate for Proficiency in the Esoteric Work in December 1981. In the York Rite, he was exalted a Royal Arch Mason in Park Place Chapter No. 458, on April 15, 1957, and served as High Priest of that Chapter in 1968-69; was District Deputy Grand High Priest, Capitular District 5-B in 1971; received the Order of High Priesthood in December 1969, and has been a member of the Credentials Committee of the Grand Chapter, RAM, since 1969. He was greeted a Royal & Select Master in Park Place Council No. 373, on April 26, 1957, and received the Super Excellent Master’s degree that same year. 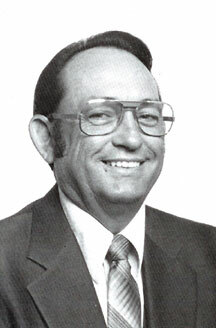 He served as Thrice Illustrious Master of that Council in 1968-69; was Grand Marshal of the Grand Council Royal & Select Masters of Texas in 1972; District Deputy Grand Master of District 5-A of the Grand Council in 1973; received the Order of the Silver Trowel in 1969; and has served on the Credentials Committee of the Grand Council since 1969. He was knighted in Park Place Commandery No. 106, Knights Templar, on November 23, 1957, and served as Commander of that Commandery in 1967. He is a dual member of Ruthven Commandery No. 2, and for nineteen years has drilled with Houston Commandery No. 95, Melrose Commandery No. 109, Ruthven Commandery No. 2, and Park Place Commandery No. 106. He served as Grand Commander of the Grand Commandery Knights Templar of Texas in 1977-78. As a Scottish Rite Mason, M:W: Brother Baccus received the 320 in the Houston Scottish Rite Bodies on November 2, 1963. He is active in those Bodies and was invested a Knight Commander of the Court of Honor on October 31, 1969 and Coroneted a 330 Inspector General Honorary on November 19, 1975. He is a Past Master of Kadosh of the Houston Consistory and is Past General Membership Chairman of the Houston Bodies. M:W: Brother Baccus became a member of Arabia Temple, Ancient Arabic Order, Nobles of the Mystic Shrine on May 14, 1960; is a member of the Past Master’s Association; an honorary member of the Clown Jewels and Motor Corps; and is presently serving as Oriental Guide. Other membership, orders, and honors received by M:W: Brother Baccus are: Life Member and Past Prior of Texas Priory No. 23, Knights of York Cross of Honor; Past Preceptor of Resurrection Tabernacle XXI, Holy Royal Arch Knight Templar Priests; Past Sovereign of St. Austin Conclave, Red Cross of Constantine; and is a member of Texas York Rite College No. 14; Royal Order of Scotland; Chinar Grotto; Park Place Chapter No. 731, Order of the Eastern Star; and Texas College Masonic Rosicrucians of the United States of America. He has received the DeMolay Cross of Honor; the Honorary Legion of Honor, Order of DeMolay; and the Grand Cross of Color, Order of Rainbow for Girls. In addition, he has received honors from the Texas Lodge of Research, the Philalethes Society, Royal Order of Jesters and the National Sojourners.